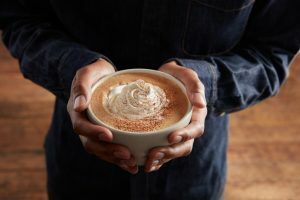 Peet’s Coffee has launched People & Planet, a new initiative featuring curated coffees that highlight the brand’s decades long heritage of caring for farmer communities at origin and for the environment. 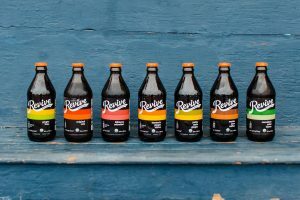 By combining several craft coffees that deliver social and environmental benefits under one umbrella, Peet’s aims to educate and empower consumers to make more impactful choices about coffee consumption. Certification – Coffees that are evaluated against social, environmental, and economic standards during production and processing. 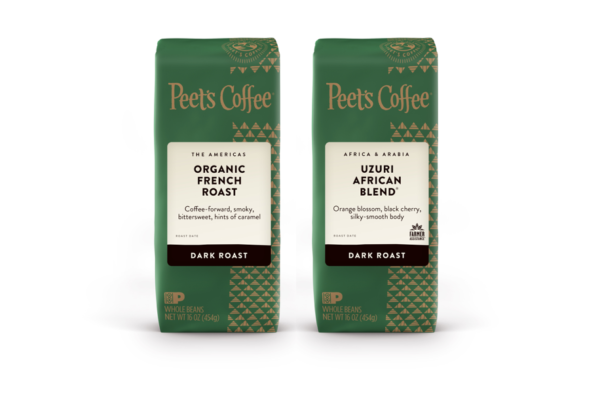 Peet’s focuses on sourcing coffees that carry USDA Organic, Fair Trade and Rainforest Alliance certifications. People & Planet kicks off a rolling series of craft coffees that will be available through Peet’s cafés, grocery, wholesale, and online at Peets.com. The following are on sale now at retailers such as Harris Teeters, Safeway and Target Stores: Uzuri African Blend, a Farmer Assistance dark roast from East Africa with notes of orange blossom, black cherry, and a silky-smooth body; Guatemala San Sebastiàn, a Direct Trade dark roast from the Antigua Valley of Guatemala with hints of bittersweet chocolate and elegant acidity; and Organic French Roast, new to Peet’s, a USDA Organic dark roast including coffees from Guatemala and Colombia that is intensely bold and smooth. People & Planet is designed to bring to the forefront craft coffees that have programmatic ties to farmers and their communities, such as Uzuri African Blend, which supports eight cooperatives in Ethiopia through farmer training. The training results in higher quality coffees, and the income the farmers earn from the sale of this coffee is helping fund the construction of schools, installation of power lines, and other community investments. With each purchase of Guatemala San Sebastiàn, Peet’s donates to the local education system in the Antigua Valley, as well as to a clinic that provides basic medical care for hundreds of workers and their family members at no cost. With the Organic French Roast, the company sources coffee grown and processed according to USDA rules and regulations that promote environmental protection and conservation. Prices may vary by location, but these coffees can be found in Peet’s cafés and Peets.com starting at USD $16.96 for a 16-oz bag, and in grocery stores with a MSRP of USD $10.99 for a 10.5-oz bag. 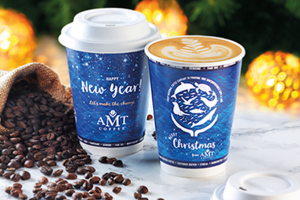 Additional People & Planet craft coffees will be announced throughout the year, along with events that invite consumers to engage with Peet’s around this purpose driven initiative. For more information on this initiative, visit: peets.com/peopleandplanet.